We are able to offer you guidance and advice on what recruitment opportunities there are available. We can offer support to help you with training and careers advice and give you access to people doing the types of roles you are interested in. We can also advise about DBS checks, which you will need to work in care. 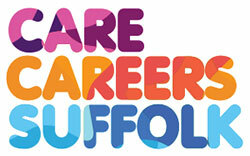 The Suffolk Jobs Direct jobs board is for vacancies in the public and not-for-profit sectors in Suffolk and the surrounding area.